7th Street Casino offers the perfect location and the perfect atmosphere. 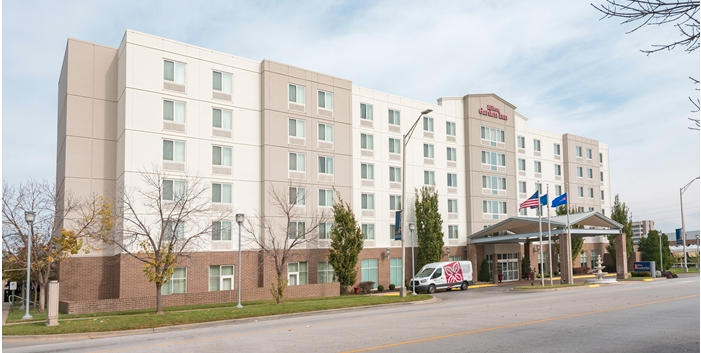 Nestled in the historic section of downtown Kansas City, Kansas, open 24/7 and just minutes from hot spots like the Power & Light District, Sprint Center and The City Market; we’re proof that you don’t have to go to the riverfront to be swept away. Call from your car and our shuttles will bring you to the casino. 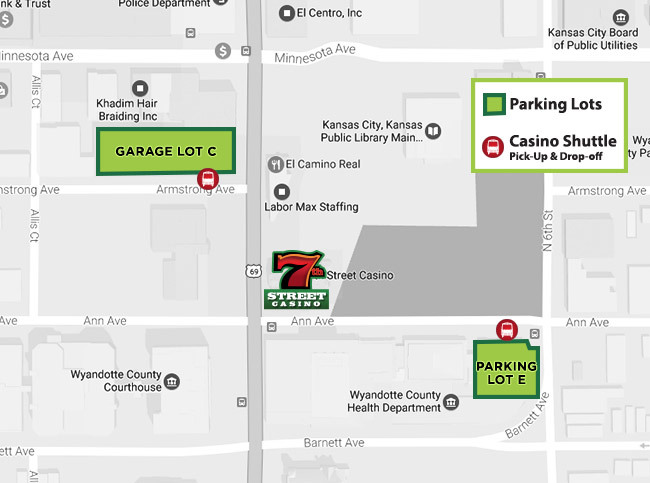 We pick up between 8th and 6th streets, between Minnesota and Barnett. You’ll never be far from a parking spot when you visit us. Parking is FREE for Lucky 7 Club card members who validate at the security desk at the Ann Street entrance on the first floor. We’re conveniently located near Metro bus routes, with a stop near our front door. Take I-29/U.S. 71 S to I-635 S.
Then take US-69 S. for 7th Street Trafficway. Take I-49 N. to I-70 W.
Take exit 423C for Minnesota Ave. Turn left onto N. 7th St. Trafficway. Take I-35 to I-70 W.
Turn left on N. 6th Street, right on Ann Street. (Parking at Lot E). Casino at corner of Ann Street and 7th Street Trafficway.